Thousands of people in Derby can now get some of the fastest broadband speeds in the country as Openreach has begun switching on the pilot areas for its new ultrafast broadband network. Around 13,000 households and businesses in places like Darley, Derwent and Mackworth are set to benefit from the new ultrafast service, known as G.fast, which provides download speeds of up to 330Mbps – more than 10 times the UK average. 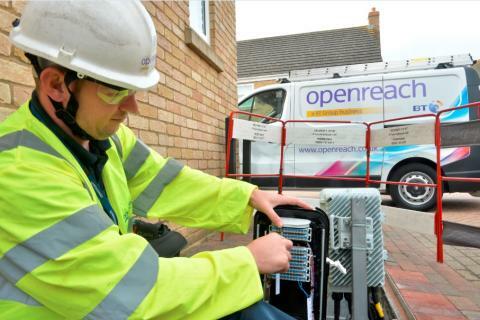 Richard Hall, Openreach’s director for regional infrastructure delivery in the East Midlands, said: “A huge amount of effort and substantial investment has already taken place in the development of this exciting new technology. So I’m delighted to announce that we can now start connecting people in Derby and at the 19 other locations around the country. Engineers have spent recent months upgrading the network in several parts of the city to prepare for the arrival of Derby’s G.fast broadband pilot scheme. The city was announced as a pilot location for G.fast in October 2016, as part of Openreach’s ambition to make ultrafast broadband available to 12 million UK homes by the end of 2020. It builds on the success of the rollout of superfast broadband, which has already reached more than 450,000 homes and businesses in Derby and Derbyshire. Overall, more than nine out of ten premises across the country can access superfast speeds today with around another 17,000 homes and businesses being enabled each week. Following the early trials of G.fast in Cambridgeshire, Gosforth and South Wales, the 20 pilot areas have extended that reach even further – already reaching more than 100,000 homes across the UK.